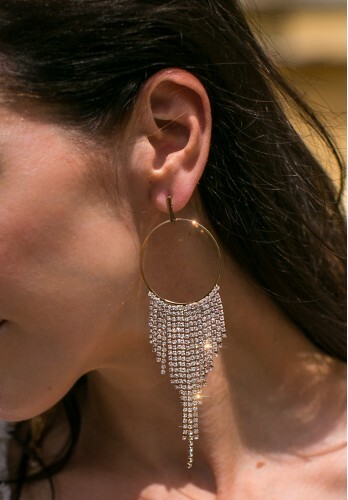 ♥ These amazing Statement rhinestone earrings are made on gold base with sparkling crystals detail. Comes beautifully wrapped in a charming gift bag! ..
♥ These amazing Statement dream catcher earrings are made on rose gold base with crochet and tassel detail. Comes beautifully wrapped in a charming gift bag! ..
♥ A great accessory for stylish women, so feminine and elegant. Hand crocheted with 100% cotton yarn. These earrings are 3.15 inches (8 cm) long without the hook. Comes beautifully wrapped in a charming gift bag! .. 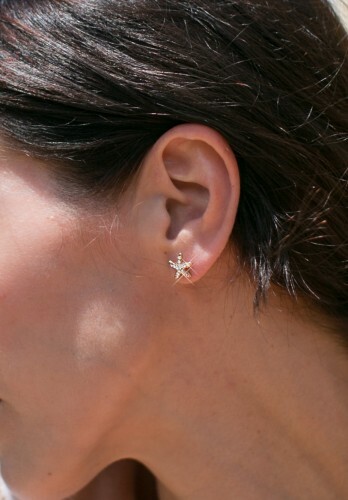 These sparkle Starfish earrings are great idea for a wedding gift, bridesmaids gift, Holiday gift or just to treat yourself! Try something new today!!! Available in gold and silver. .. These amazing Statement pearl and rhinestone earrings are made on silver base with sparkling crystals detail. Comes beautifully wrapped in a charming gift bag! 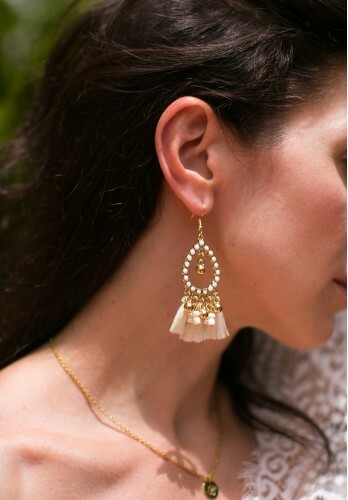 ..
♥ These amazing Ivory Drop earrings are made on yellow gold base with trendy tassel detail. Comes beautifully wrapped in a charming gift bag! 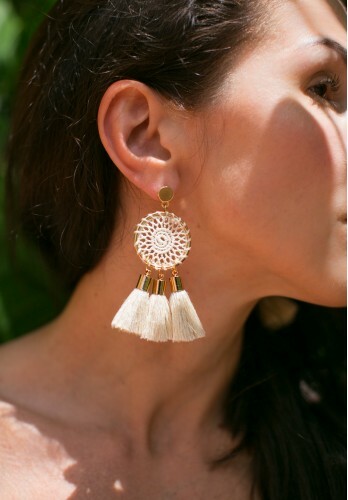 ..
♥ These amazing White ostrich feather earrings are made on gold base with trendy ostrich feather detail. Comes beautifully wrapped in a charming gift bag! ..